As usual, I will put up a list of some interesting vocabulary used in the Ichimen segment reviewed. If you are looking for the review, it’s over here. 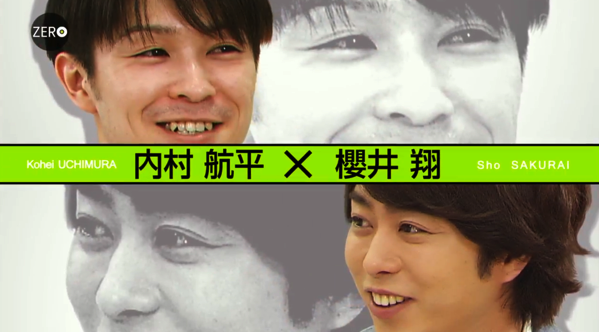 In this Ichimen, they are talking about the gymnast, Uchimura Kohei. The two kanji literally means iron and rod respectively. In gymnastics, it refers to the men’s event horizontal bar. Sho interviews Uchimura to find out the secret behind his stuck landings. Uchimura aims to stick his landings and having a little points deductions as possible. A commonly used word, in the Ichimen segment Uchimura talked about how having the split second to spot the ground gives him the room to perfect his landing. At the end of the segment it was also discussed that Rio being Uchimura’s 3rd Olympics, he feels calm about the competition despite the huge responsibility on his shoulders. A very commonly used word, using written in just kana. It’s used at least twice in this clip itself, when talking about which part of the horizontal bar Uchimura is most particular about – namely, sticking his landings. Quite a common used word. Also has the second meaning of liability/onus. In the video though, Uchimura talked about his responsibility during the Rio Olympics, as the captain and ace of the gymnastics team. This is slang. Uchimura said this when he speculated that his kids would be criticising his performance in the 2020 Tokyo Olympics. If you enjoyed reading this post, you can subscribe to Nihongo Manabu through the menu in the sidebar, or follow us @Nihonmanabu.